Itsy Bitsy Bookworms Radio is a way to communicate with the youth. Little Chef DJ and his team really enjoyed being on the show getting the word out about healthy eating and being whatever you want to be in life at any age. Thank you again for your time and I wish you much success in all that you do. Thank you Itsy Bitsy Radio! You are truly one of a kind. We laughed. We talked about creativity. We talked about reading and most importantly we talked about kids.We told our friends to tune in and be part of the best kids radio station. Pam, you are talented. Please continue to reach our families and children through inspiration and education. The interview was so fun, we would love to do it again! See you soon. 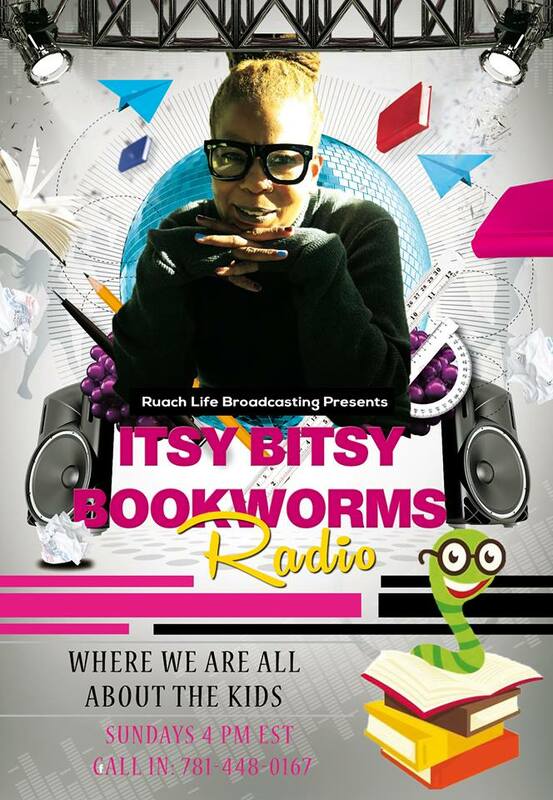 Dear Pam, thank you for having me as a guest on your radio show, Itsy Bitsy Bookworms Radio. I found you as a host every bit enjoyable to talk to as a guest. Your show is also very informative. Pam, thank you for the platform to be heard and for over 160+ countries knowledgeable about myself and my children’s books The ABCs of Love, and A Letter To My Daughter on Amazon.com. It was an awesome experience being on your show.